Makeup appears glamorous, but leaves a pretty substantial amount of stain behind. A lot of beauties out there think its amazing to put on makeup, however, they think that taking it off in a proper manner is not that an important task. Nevertheless, it is an essential step to foster clear and blooming skin. No matter how urgent it is for you to fall on your bed, taking off your makeup is an absolute necessity! However, wiping off your face with a couple of wipes is not sufficient; perhaps you cannot get rid of all that junk littered on your skin. Are you looking for an easy way to swap off your makeup? Or your search for a natural method is still on the go…. Take your time-Take your own time, enjoying doing it. Play your favorite number, dance on it and clean all your makeup. As every step is requisite and our skin is very gentle so it is necessary that we do it in the right way, giving enough time. Normal Skin: 1:1 ratio of extra-virgin olive oil to castor oil or coconut oil or almond oil or jojoba oil. Oily Skin: 1:3 ratio of extra-virgin olive oil to castor oil or coconut oil or almond oil or jojoba oil. Dry Skin: 3:1 ratio of extra-virgin olive oil to castor oil or coconut oil or almond oil or jojoba oil. b. Cucumbers- Cucumbers possess anti-inflammatory properties and a lot of makeup removing beauty product use cucumber. Use makeup removing beauty products which are effective in swapping makeup. Direct application of cucumber to the face, soothe irritated skin or acne-prone skin. What you have to do is to blend it into a paste and then apply it on the face. If you have solid makeup to remove, add a few drops of olive oil or milk to the mixture. c. Yoghurt- Yogurt moisturizes the skin and is a perfect agent to get rid of sunburns. Dip a clean cotton into some plain yogurt and rub it all over the face in s circular motion. Let it dry for 10 minutes and then rinse off with cool water. d. Whole Milk- Milk contains numerous nutrients which hydrate the skin and allows the skin to retain moisture. Add a tablespoon of almond oil to a cup of whole milk and rub it on your face. It will leave your skin makeup free and refreshing. e. Baking Soda and Honey – One of the best ways to remove makeup is mixing baking soda with honey and then applying it directly on the face. 3. Go easy on the eyes. The eyes are the most sensitive area of our face, therefore, special care is recommended for them. Start by gently swiping the cotton over the brows and upper eyelid, starting from the inner corner of the eye and moving towards the outer corner. 4. Always go for a beautiful finish. Always give a final touch to your act of removing make-up. Wash your face with water for a beautiful finish. Use lukewarm water and avoid washing your face with hot water. Because it peels off the skin and can cause irritation, which can worsen the problem by evolving complications like acne. 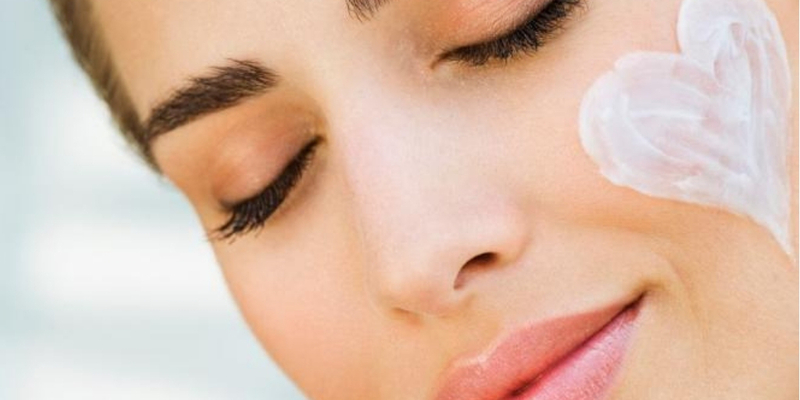 Regardless of what product you use, go for products which are gentle on your skin. Go for natural skin care products as they have zero level of chemicals and thus the danger of side effects gets completely diminished. Natural methods are the best.